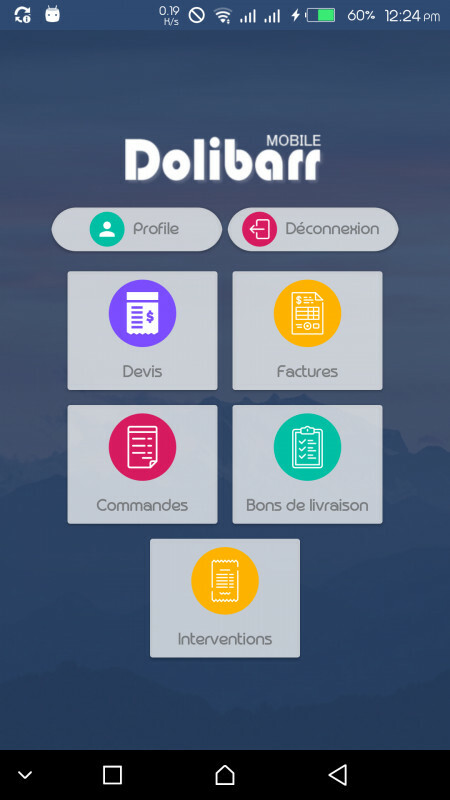 The application "Dolibarr Mobile" allows you to: 1- Follow the activity of your Dolibarr platform 2- Consult quotes, invoices, orders, delivery notes and interventions. 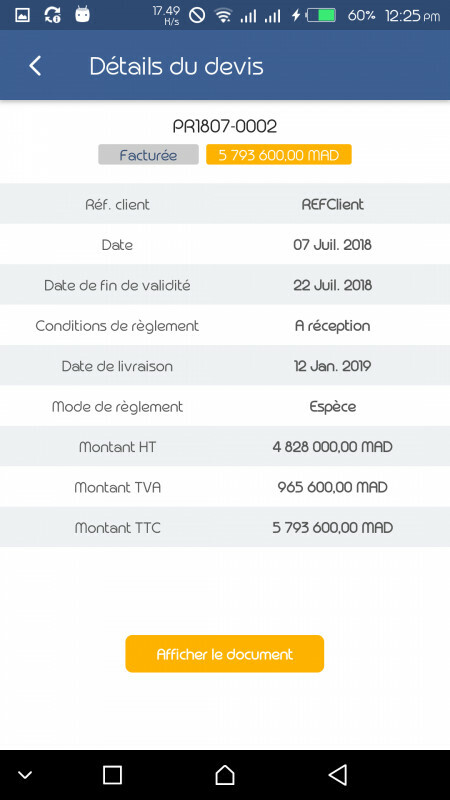 3- Edit PDF of quotes, invoices, orders, delivery notes and interventions. 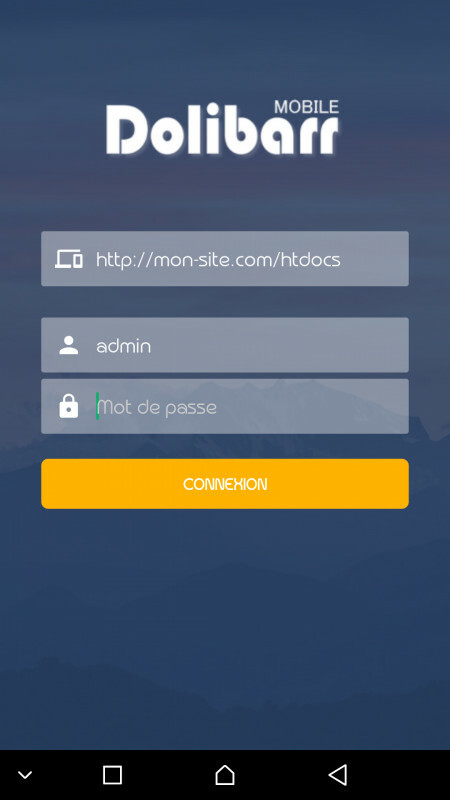 4- Secure access via the mobile application to your Dolibarr intranet. 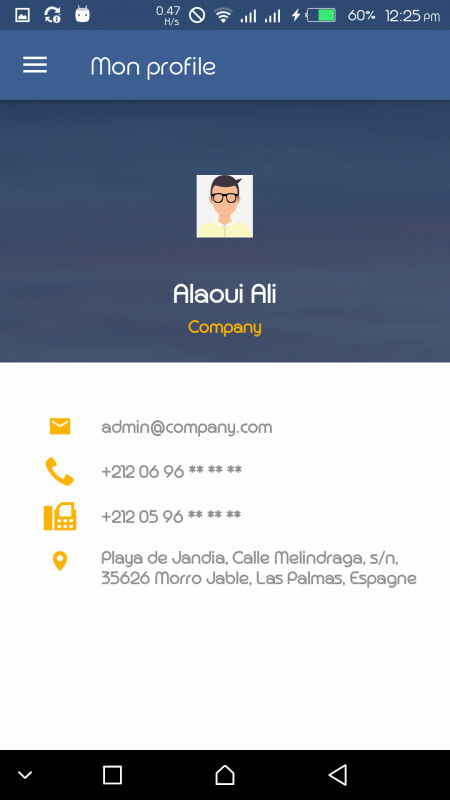 2- Consult quotes, invoices, orders, delivery notes and interventions. 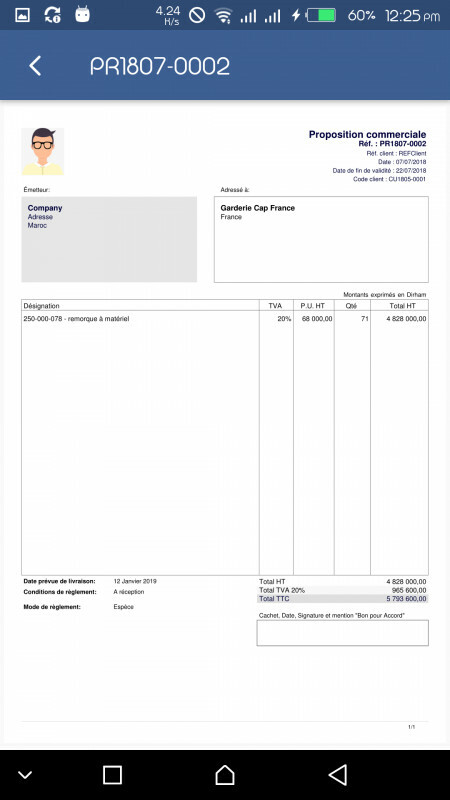 3- Edit PDF of quotes, invoices, orders, delivery notes and interventions. 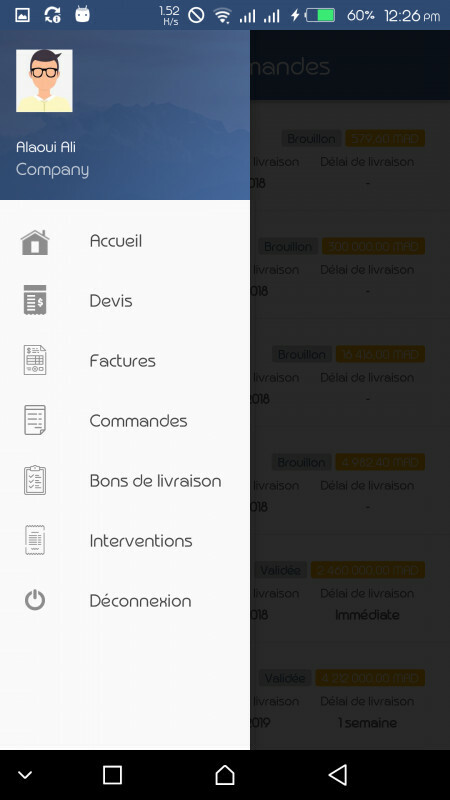 4- Secure access via the mobile application to your Dolibarr intranet. 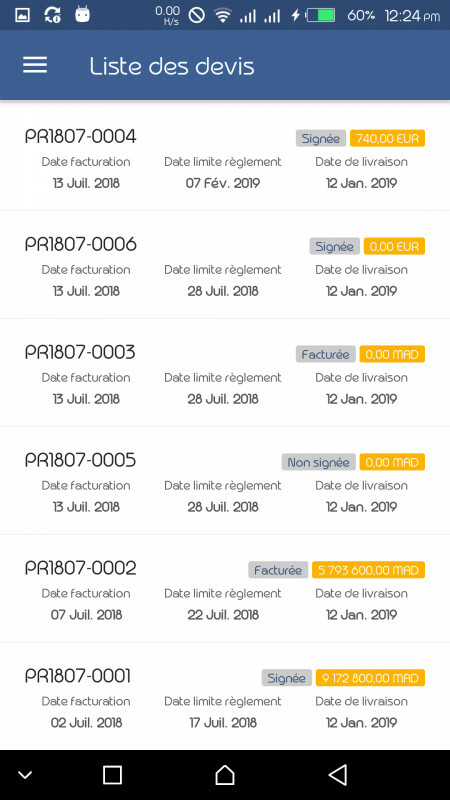 NB: we will develop new features in the future to cover all Dolibarr modules, therefore the price will increase, once you order the app now you will receive free updates for life. 2- Buy the "Dolibarr Mobile" module in the Dolistore platform.